Published the results of a fairly detailed comparison of features of developing applications with graphical user interface using Qt QML and EFL (Enlightenment Foundation Library). The comparison covers issues such as the ease of development, evaluation of labor, compact code, memory consumption in the process, skorosot launch, final performance applications, visual appeal, etc. Used to estimate the clone of Miner written using QML and EFL. 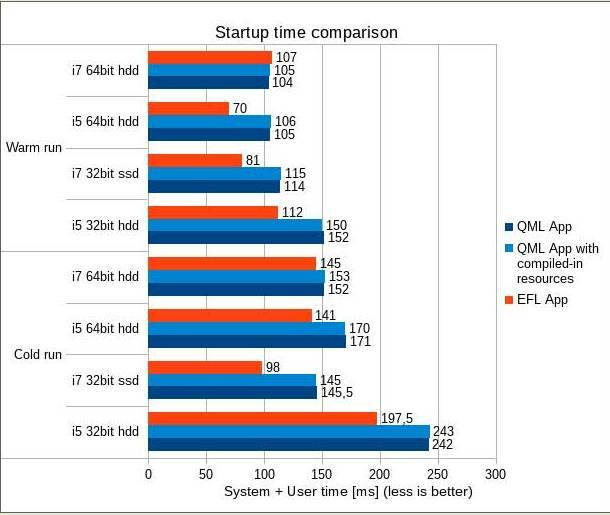 From the position of the memory consumption of 32-bit applications on the RSS EFL was 8.15 MB, and QML – 27.6 MB, but for the size of the shared EFL units accounted for 2.6 MB, and for QML – 15.3 MB. PSS for QML was 5.27 MB, and for EFL – 15.8. 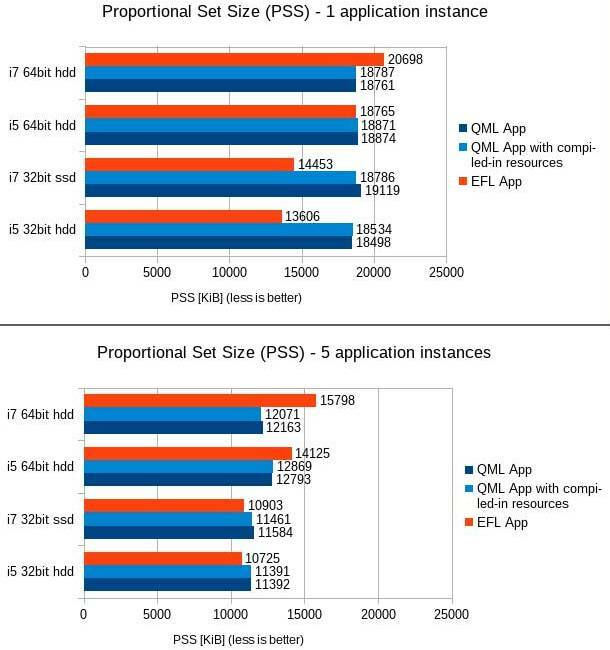 In the 64-bit configuration memory consumption QML could be several megabytes less than EFL (PSS 18.6 and 20.7 Mb). When you run both 5 and 10 copies of the application differences in the 32-bit configuration smoothed through greater sharing of memory in QML. Startup time for applications on EFL was lower by about 30%.